Gladys Grant Tucker passed from this life on Friday, February 1st, 2019 in North Little Rock Arkansas. 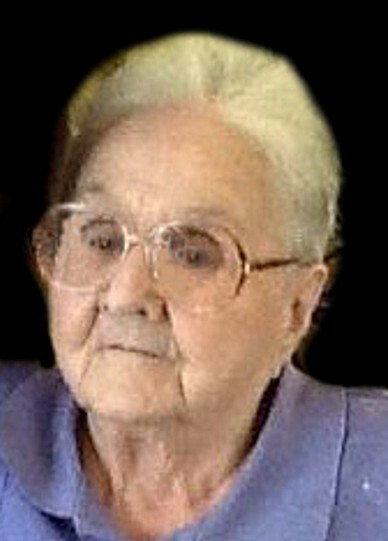 She was born Gladys L. Grant to Albert D. and Ethel L. Grant of Smackover Arkansas on May 9, 1923. She was preceded in death by her parents, her late husband, Madison Tucker, as well as her brother Joe Grant and sister Doris Sneed. Gladys was an accomplished musician, her favorite instrument being her rare “C Melody” saxophone. She played in gospel singing groups throughout the south and directed numerous church orchestras for most of her adult life. Her last directorship was at her home church, Crystal Hill Assembly of God. Gladys also proudly served as a “Rosie the Riveter” during WWII in Houston, Texas. She is survived by her daughter Sharon (Angus) Lewis, son Joey (Cindy) Tucker, 7 grandchildren Greg (Bibi) Lewis, Joani (Donnie) Glasgow, Mindy (Corey) Atkinson, Christy (Erik)Lawson, Danny (Liz) Tucker, Amanda Tucker and Missy Tucker. She is also survived by 15 great grandchildren, Grant Lewis, Emily and Ian Glasgow, Madison, Logan, Chloe and Gavin Schnyder, Courtney, Brooke and Wesley Lawson, Lily, Josiah and Sam Tucker, and Luci and Lena Wulff and one great-great grandson, Eli Schnyder. Funeral services will be held 11:00 a.m. Friday, February 8, 2019 at Smith-Sherwood Funeral home, 7700 Hwy 107, Sherwood, Arkansas with visitation from 10:00-11:00 prior to service. Burial will be private in Rest Hills Memorial Park.